These 250 gram packs of premium cone shells contain about 15-20 shells. The average size of each shell is about 40 x 20 x 15 mm. 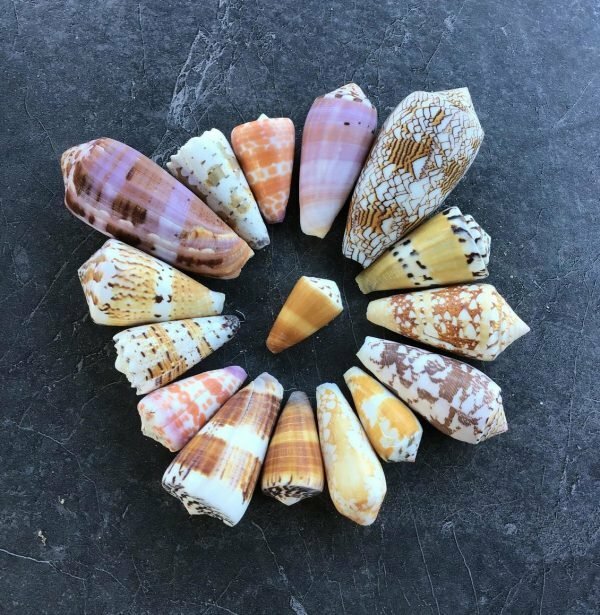 These packs contain a variety of colorful cone shells.